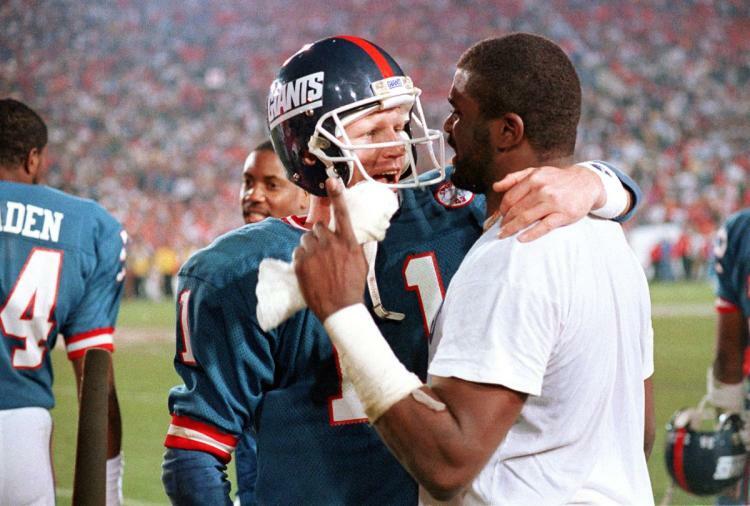 ​In what is arguably the single finest individual performance in Super Bowl history, New York Giants' quarterback, Phil Simms, saved his best game for the biggest stage. 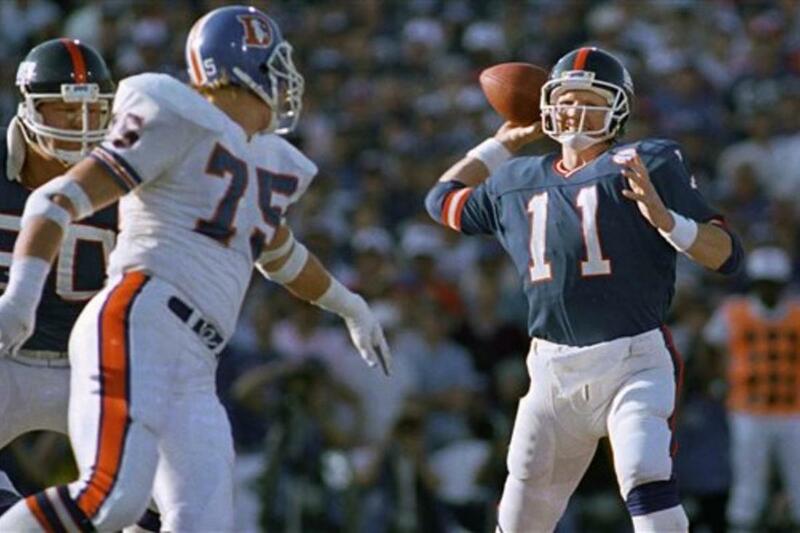 ​In fact, it is safe to say, Simms' had the finest performance by a quarterback in a Super Bowl ever, as he completed 22 of 25 pass attempts (with two dropped passes) and threw 3 touchdowns. He was rightly voted the contest's MVP. 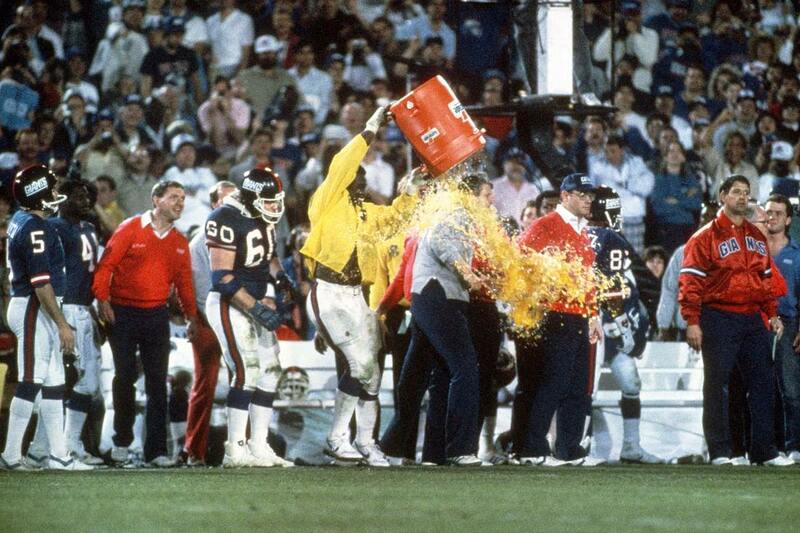 Not that Super Bowl XXI was a blow-out - at least not to begin with. The first half was relatively evenly matched, with the Broncos leading 10-9 at the break. 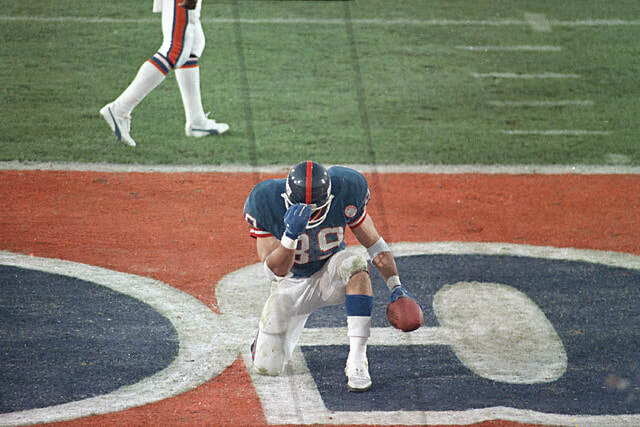 However, the signs of the game turning in the Giants' favor were already present before halftime. 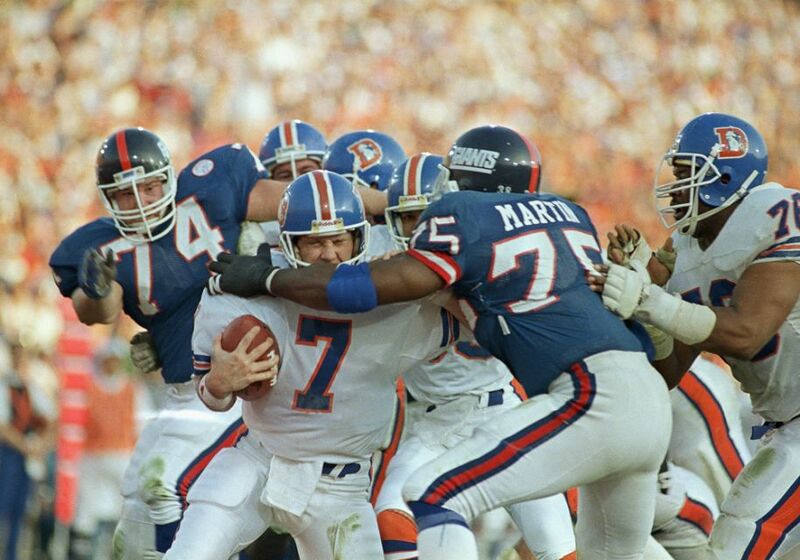 Aside from scoring a safety by tackling Broncos' quarterback, John Elway, in the end zone, the New York defense had stopped the Broncos cold at the goal line. 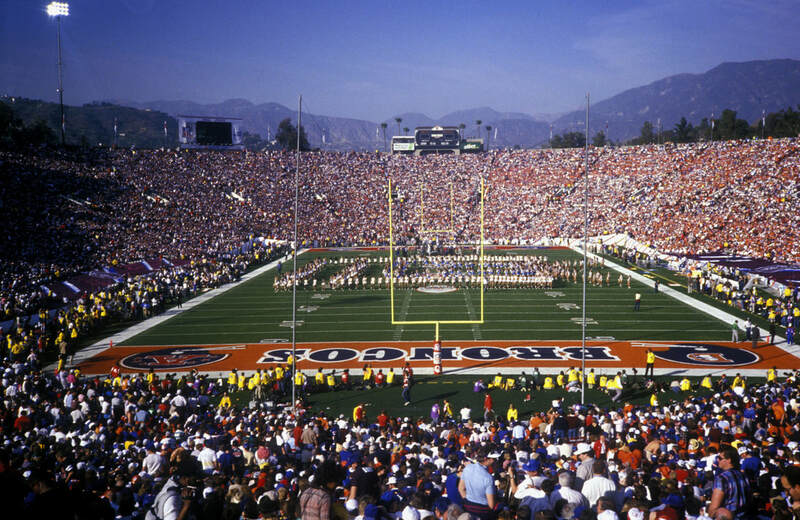 Halftime Show:"Salute To Hollywood's 100th Anniversary"
Following the end of Super Bowl XXI, Disney began its "I'm going to Disney World!" promotion with the winning MVP. Aside from his stellar performance on the field, this is another distinction Simms' enjoys, as being the first player to utter the words following the big game. ​Viewers in the UK witnessed the international feed of the game on Channel 4, with veteran Monday Night Football broadcaster, Frank Gifford, doing play-by-play, joined by former Patriots' kicker, John Smith, and (then) Miami Dolphins' head coach, Don Shula. Gifford had spent the 1986 season hosting the stations NFL coverage. 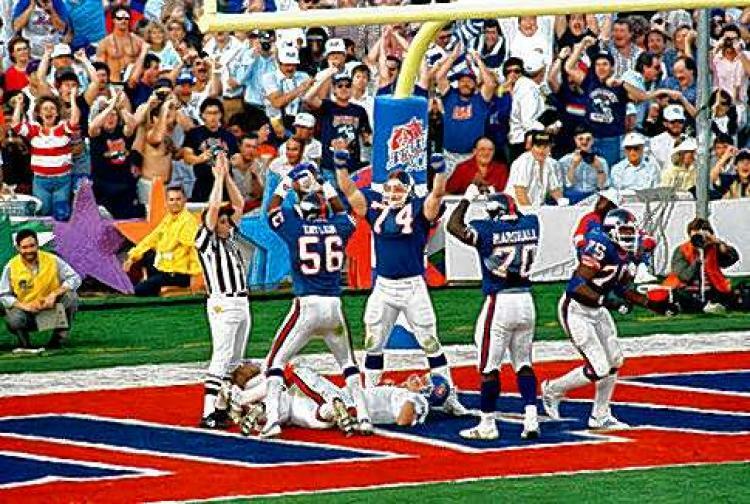 Super Bowl XXI would be the last time for thirteen seasons (in Super Bowl XXXIV) two feature to teams who had hadn't previously won the big game. 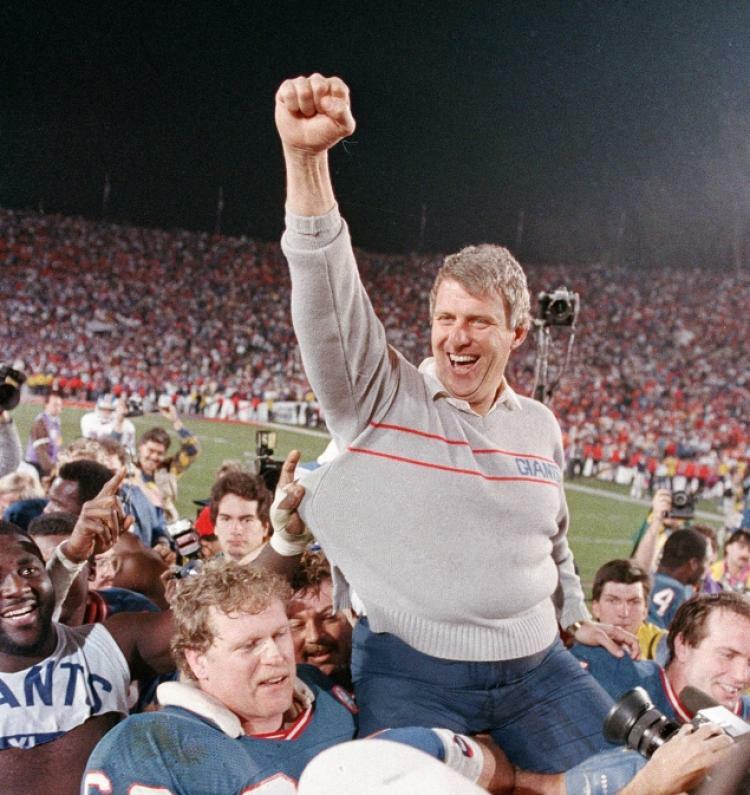 Although they were never particularly close as players, both agreed later that winning Super Bowl XXI bridged a gap between the Giants two best players.